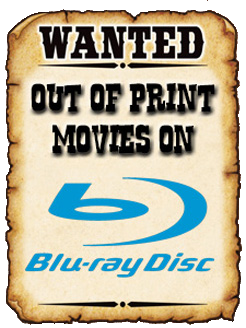 THE B-MOVIE NEWS VAULT: STOCK YOUR VAULT: New DVDs & Blu-rays for 02/05/2019! STOCK YOUR VAULT: New DVDs & Blu-rays for 02/05/2019! Greetings fellow collectors, and welcome to February 2019! The shortest month of the year kicks off with a decent release slate that has a little bit of everything, from anime, to indie Horror, to bargain-priced film collections! Scream Factory's lone new release this week is MERMAID: LAKE OF THE DEAD, Kino Lorber brings ZACHARIA to Special Edition DVD & Blu-ray, and NetFlix's THE CLOVERFIELD PARADOX finally gets a physical release (on its own, and as part of a three-film collection)! 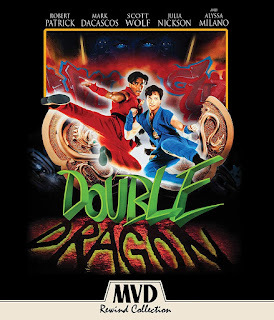 Mill Creek gives you more bang for your buck with their QUEENS OF SCREAM triple feature and cool POP CULTURE BENTO BOX, MVD Rewind Collection gives DOUBLE DRAGON a solid Collector's Edition, and Arrow Video releases THE FIFTH CORD and THE POSSESSED to Blu-ray disc! There's plenty of other new titles of interest, so be sure to scroll down to see them all! Contains: I Know What You Did Last Summer, Vacancy, and When a Stranger Calls. Contains: Hostel, Hostel Part II, Identity, Vacancy, Terror at Red Wolf Inn, It Happened at Nightmare Inn, The Devil's Nightmare, and Legacy of Blood. Contains: The Little Prince and the Eight-Headed Dragon, The Battle in Outer Space, Mothra, Memories, 4 episodes of Hanna Barbera's Godzilla, 4 episodes of Astro Boy, and 4 episodes of Viper's Creed.